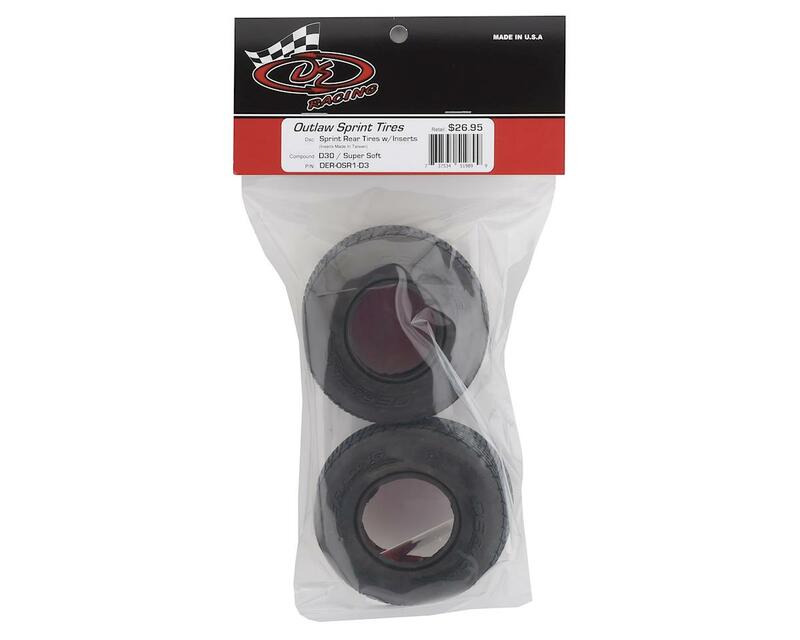 DE Racing Outlaw Sprint Dirt Oval Rear Tires are designed specifically for the sprint car racing enthusiast. 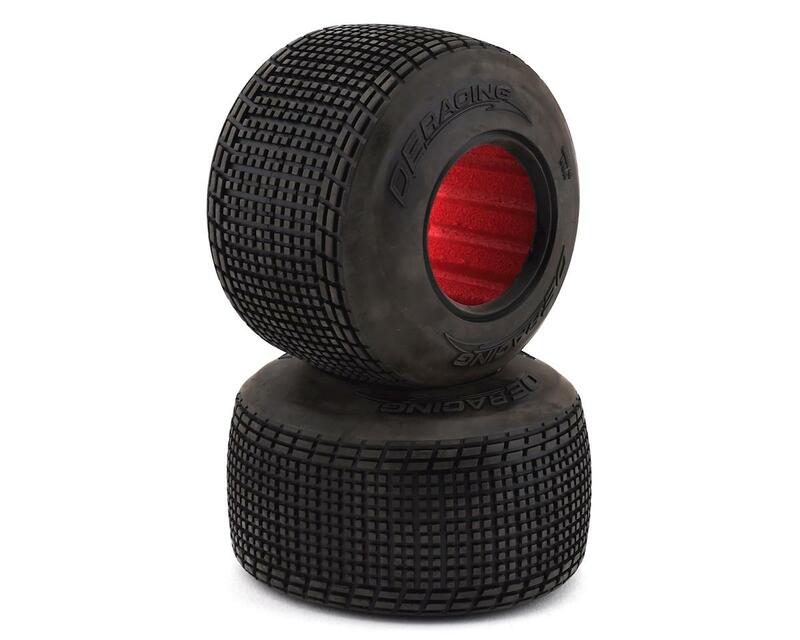 These split profile tires feature a 1.7" outer bead, combined with a 2.2" inner bead to provide great scale looks with incredible on track performance. Offered in super soft D30 rubber compound, the Outlaw Sprint tire has what it takes to dominate a wide variety of conditions. The proof is on the podium, and DE tires have stormed their way to the top step at tough open tire events across the nation. NOTE: These tires are only compatible with DE Racing Gambler rear wheels (DER-GSR-AB).